Simon Lévelt - Delicacies & Drinks in Leiden. 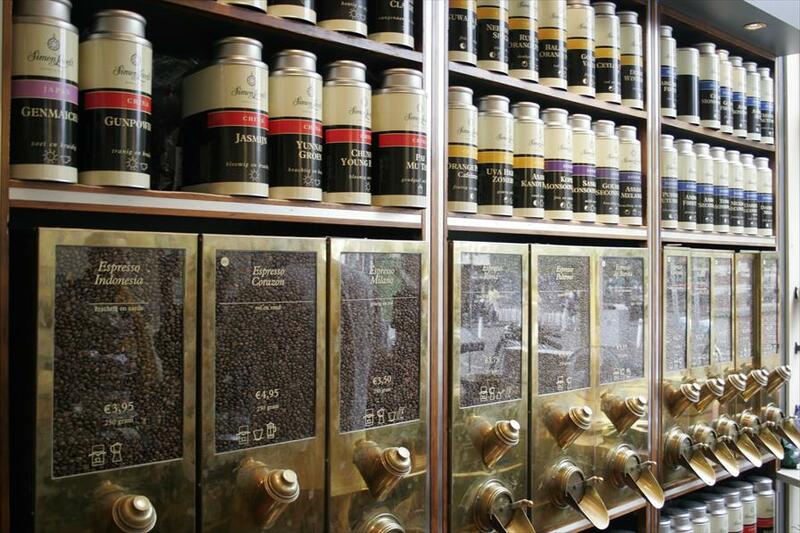 This store's merchandise consists mainly of an extensive collection of different kinds of coffee (25) and tea (120). 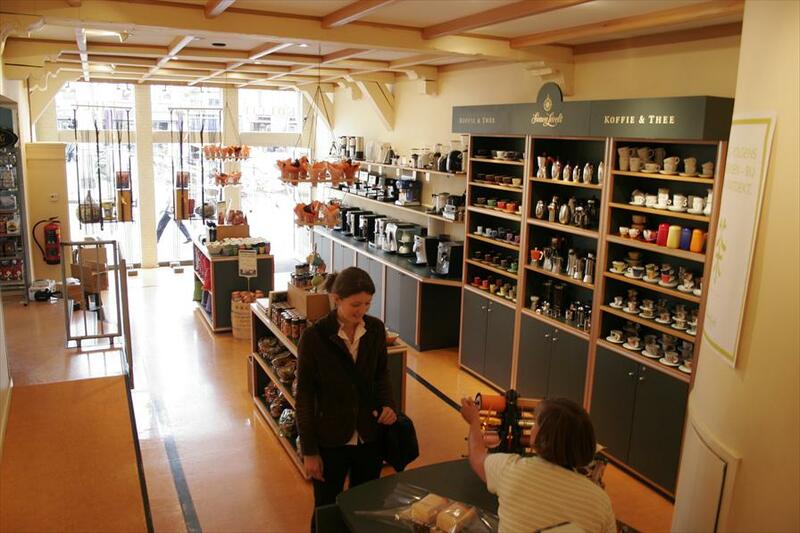 This gives Simon Lévelt Koffie & Thee Speciaalzaak the largest and most diverse offering of coffee and tea in the Netherlands, and places it beyond comparison with other stores in this business. There are also many different coffee- and tea related products to be found here such as high quality espresso equipment, cups, mugs, glasses, tea pots, gift wrappings and chocolates. The store distinguishes itself with a very knowledgeable staff that has a big love for coffee and tea products. Coffee and tea draw people from 30 to 65 years old. People who travel and acquaint themselves with the enormous varieties of coffee and tea around the world. People who are aware of quality and robustness in the broadest meaning of the words. At Simon Lévelt they've come to the right place. The typical building where painter Jan Steen has lived in the past is situated in Leiden's old historic town center. The store is surrounded by high quality specialty stores and cosy waterfront patios on the canals. It's a lovingly taken care of, beautifully situated store that smells wonderful upon entry. Born in a family of entrepreneurs, owner Willem Joosten is a born entrepreneur himself. His people skills and love for his merchandise are important factors for Joosten to keep his store busy. He loves to share his extensive knowledge with customers to get them excited and help them enjoy their coffee and tea. Simon Lévelt Koffie & Thee Speciaalzaak places importance on sustainable investment by offering products by Max Havelaar and Eco. The store also offers reparation and maintenance services for espresso-equipment.